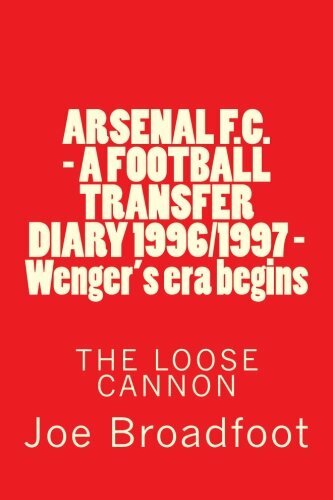 The lack of new arrivals at Arsenal this summer has prompted me to go back in time and think of signings that excited me, back in the days when we spent money. 1. Malcolm Macdonald – until he arrived at Arsenal, I was not a big fan of the gobby Supermac. But he could put his goal scoring boots where his mouth was, so I knew he'd score loads for us. It's a shame injury blighted his career, as he really was a proper centre forward. 2. Ian Wright – as with Supermac, I knew Wrighty would score loads for us. I'm not sure I could see him breaking Cliff Bastin's goalscoring record though. He turned out to be even better than expected. 3. Alan Ball – in my opinion, he was England's best player in the World Cup final of 1966 and what a signing he would be! Actually, not quite as good as I expected, but he was my hero when I was a kid nonetheless. He did the simple things well: the hallmark of an intelligent player. I was upset when he left. 4. Andrey Arshavin – it took so long to get the Russian genius, who took Rangers apart in the UEFA Cup final, I thought it would be worth the wait. Well, if he'd been played in the right position and had more opportunities to play, it might have been. His big mistake was to go public about Wenger's penchant for 70th-minute substitutions. Arshavin wasn't even bench-worthy in the manager's eyes after that little outburst. His 4-goal salvo at Anfield is a reminder of what could have been. 5. Marc Overmars – the Holland international winger was bound to be a success and he certainly didn't disappoint. It was such a shame when we sold him. 6. Dennis Bergkamp – a player of undoubted ability, but the question was would he adjust to the English game? He'd had a tough time in Italy, so I wasn't sure. After seeing him play for Arsenal, I was instantly a Bergkamp fan, but the media were scathing about him in his early days. Once he completely found his feet, he never looked back. His only problem was missing European away days because of his fear of flying. 7. Thierry Henry – like Bergkamp, he'd not done as well in Italy as expected. Could we rescue his career? I thought so. I anticipated him turning on for us on the wing, not becoming a prolific goalscorer and beating Wrighty's record. Better than even I expected! 8. Pat Jennings – I couldn't believe we'd signed the world's best keeper so cheaply. This guy could catch the ball with one hand! He's more associated with Spurs than us, but their loss was certainly our gain. Although he was ageing, he oozed confidence and was a real asset. He was also better than expected. 9. David Seaman – a lot younger than Jennings, here we were getting a top keeper at the peak of his powers. I've always said a top keeper is a priority if you want to win silverware and Seaman certainly did his bit for us in that respect! 10. Brian Talbot – the midfield dynamo had been one of Ipswich's stars when they unexpected beat us in the FA Cup final of 1978. Funnily enough, I met the only goalscorer, Roger Osborne, and told him he ruined my life! Poor bloke didn't know what to say! Anyway, we had the last laugh, getting Talbot. I always like taking players from teams that comprehensively beat us! Talbot was tireless and a real asset to the team. This top ten was hastily put together, so if you can come up with anything better, please post it below. Arsenal to pay £45m for a work-permit-less not-so-Supermac we can’t even spell? Kostly buy for Arsenal? Or Suarez?